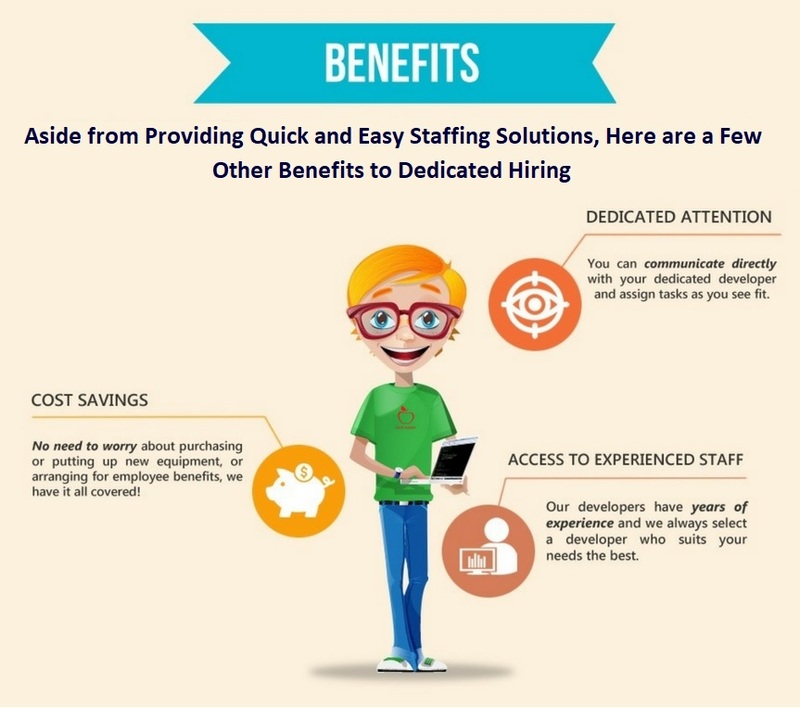 Wondering why choose dedicated hiring for app development? There are several benefits of hiring dedicated team to work on your app. With the world going mobile, mobile app are at boost. There is an unimaginable spectrum of mobile apps and even larger segment of users. With this every other organization want to go all app. 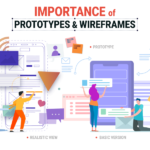 It is crucial that your app looks and functions well providing seamless experience to the users. For this reason, it is important that your app is developed by professional hands. 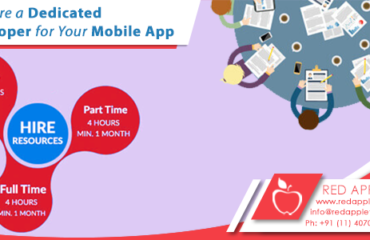 Hire dedicated mobile app developer is the right way to go about your app. Support in the Existing Business: When you hire dedicated programmer for developing your app you get professional ad-hoc support from external professional to support your existing project. More Talent: Developing a mobile app is a complex task. Considering a dedicated hiring service can help you have experts working on your projects. You may also augment your existing team. Timely delivering or meeting targets: One of the benefits of hiring a dedicated team for developing your mobile app is that you get your deliveries on time. Usually, such teams are more organized and work in timely manner. Increase customer segment: Professional teams following a customer centric approach and focus on client satisfaction. They consider various principles of UI/UX, which are customer centric. 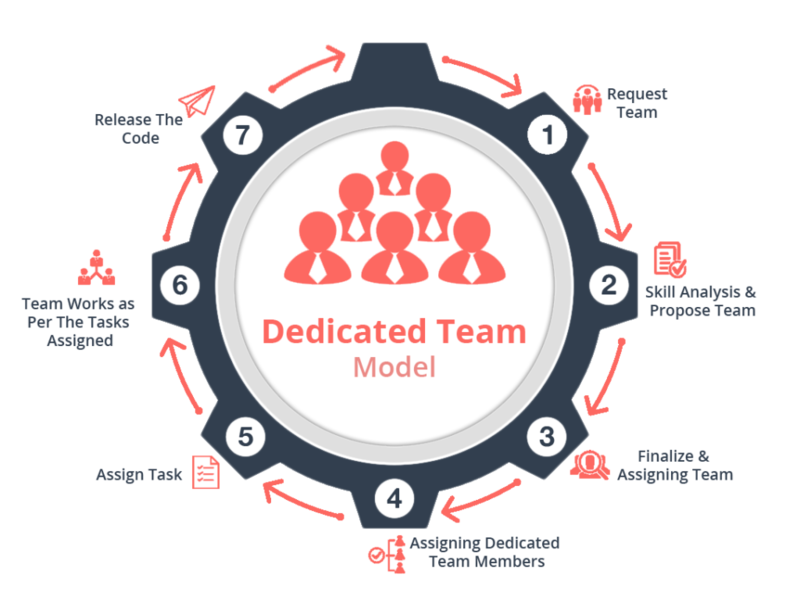 This is the reason why dedicated team can help you increase your customer segment. Save money: For developing your mobile app, you need not have an establishment. In fact, you can outsource the task to a dedicated team and save additional cost that you may otherwise incur. 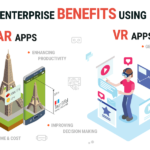 Why Choose an Enterprise App and Game Development Company? If you have the best hands working on your app already, then you don’t to hire dedicated programmer. 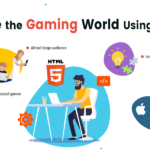 Otherwise, for a fresh idea that needs to be converted to a mobile app working with professional app and game development company proves to be beneficial in the long run. Enterprises can provide flexibility of development and ensure that your app runs flawlessly across intended platforms. Moreover, you are at least bothered about the technicalities of the project. All you must do is put forth your requirement and ensure those are met. 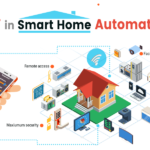 With advancing technologies, it is crucial for businesses to cope with the changing trends. Over time, there are numerous companies that has delivered mobile apps for the convenience of their clientele. This is possible through enterprise app and game development companies. Here are some benefits of investing in professional companies. 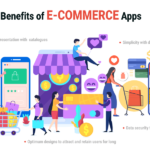 Web and mobile-based applications: While developing app the enterprise mobile app and game development company will not only focus on meeting the needs of your target audience but will also ensure that your business objectives are met through efficient web and mobile-based applications. They do this through a systematic, strategic process such as agile development and deployment. Application development and migration: Professional companies not only focus on application development will also check the migration process for current and future scenarios. You need to hire dedicated developers when it comes to migration legacy as this process usually involves lot of challenges. Also Read: How to Process a Successful Mobile Game Development? Think About It! Support for daily activities: A professional team of mobile developers will provide you with various solutions so that your daily business activities are managed. This team can help you analyze, techniques, technologies, and architectures to ensure successful development and deployment of your product. Hire dedicated programmer from red apple technologies to ensure you app is developed by professional hands. 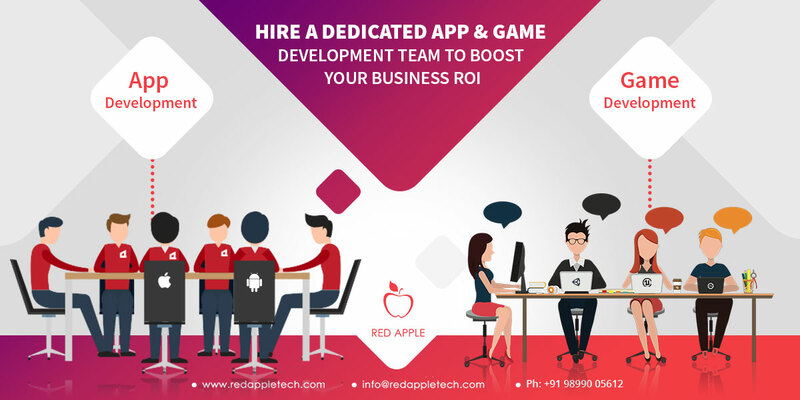 Red Apple Technologies possess necessary expertise for a good mobile app and this is evident by the existing clientele and testimonies.